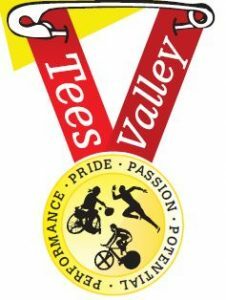 Future Champions is for Tees Valley’s talented young athletes and provides the support that they need to maximise their sporting potential. Athletes should be 12 to 18 year olds and part of an NGB selected national, regional or county performance squad. Tees Valley Sport Future Champions receive free or subsidised access to Council and Leisure Trust managed facilities in their own borough. This is to supplement their existing training. See what the programme is all about. Successful applicants will be invited, along with their guardian and/or coach, to attend an induction evening at Teesside University. This level of support requires a high level of commitment from the sport scientists, athletes and their coaches. Support will initially be provided for 12 months and athletes and coaches will be asked to sign an agreement committing to the programme. Athletes access a Physical Development programme led by Matthew Wright (Elite Development Officer at Teesside University). After a Physical Development assessment, resultant advice and a bespoke training programme is delivered by a team of postgraduate sport and exercise students. The programme lays credible foundations for future athletic development and helps to safeguard young athletes against future injury. Alongside the main programme additional sports science workshops are available including Nutrition, Sports Psychology, Injury Prevention and Media Training. We are particularly keen to receive applications from young talented athletes with disabilities. To discuss any elements of the programme or to ask specific questions please contact Nigel Hornsby N.Hornsby@tees.ac.uk or telephone 01642 342287. Nigel Hornsby, Sport Development Officer at Tees Valley Sport is the administrator for the Future Champions programme and oversees the application process and funding through Pursuit of Excellence. Nigel is a Teesside University graduate in Sports Science and is a performance hockey coach with over 18 years experience. 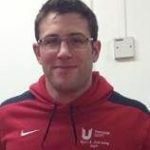 Matthew Wright, Elite Development Officer at Teesside University is the Head Coach of the Tees Valley Future Champions Programme and oversees the development of the physical development programme as well as managing the Strength & Conditioning Coaches who deliver on the programme. Matthew is a sports scientist and strength and conditioning coach accredited with the British Association of sport and Exercise Sciences (BASES) and the UK Strength and Conditioning Association. He has over ten years Strength & Conditioning experience and 15 years training prescription experience. He works with elite athletes at Teesside University and is the lead sports scientist to the Teesside Sport FA centre of Excellence and Lead Strength & Conditioning Coach for the Scottish Rugby Union’s Exiles programme.